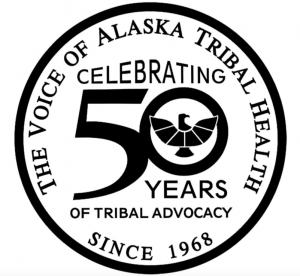 Alaska Native Health Board Turns 50! ANHB held its February Mega Meeting in Juneau February 5-7 to resounding success. As part of the Mega Meeting, ANHB along with its sponsors was able to hold a 50th Anniversary Evening Reception. During the event, the Tlingit dance group Wosh.ji.een from Juneau performed traditional local dances, even getting attendees in on the action. Welcome remarks were given by Chairman Andrew Jimmie, and an opening prayer was given by Lincoln Bean, Sr. of the Organized Village of Kake. 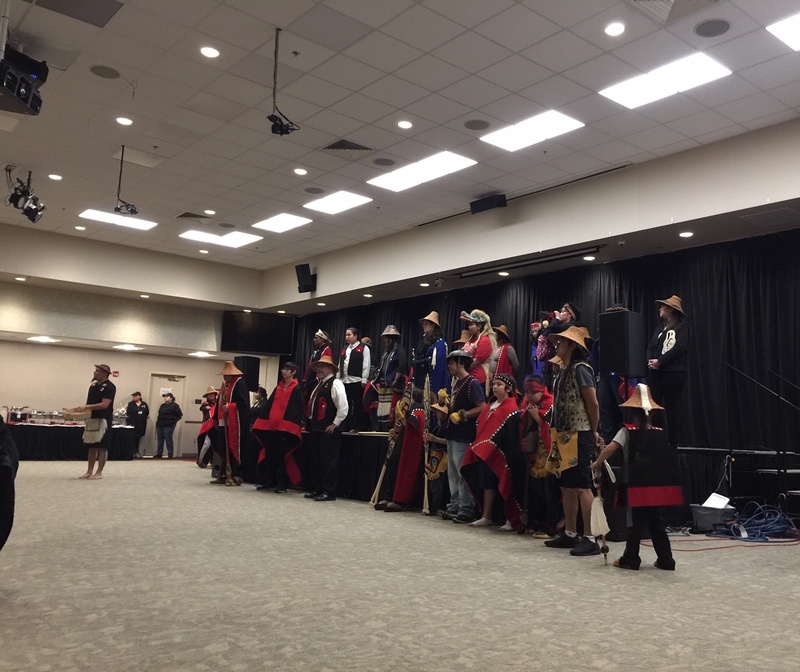 Woosh.ji.een Dance Group of Juneau performed at the ANHB 50th Anniversary Reception. A silent auction was held with donated items from ANHB’s member organizations featuring beautiful art from across the state. The fundraising efforts of the auction raised just under $8000 for ANHB cultural and welcome events, including the 2020 National Indian Health Board Consumer Conference which ANHB will host in Anchorage, September 2020. 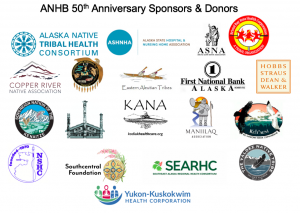 One of ANHB’s member organizations, the Tanana Chiefs Conference, created a Special ANHB 50th Year Anniversary video. The video documents the early history of the ANHB, its achievements, and interviews with many former and current board members. As part of the celebratory events, ANHB’s Board of Directors directed the creation of a commemorative coin for the 50th anniversary. ANHB worked with the Alaska Mint to develop a coin featuring the ANHB logo on the obverse and a 50th anniversary design on the reverse. These coins were given as commemorative gifts of thanks to the Board of Directors and the Association of Tribal Health Directors. The coins have also been presented to members of the Alaska Congressional Delegation as a thank you for their work on behalf of Alaska Native peoples. Below is the Special ANHB 50th Year Anniversary video. ANHB would like to thank the sponsors and donors of our 50th anniversary celebration. Native Dancer Illustrations © Charles B. Tuckfield Jr.